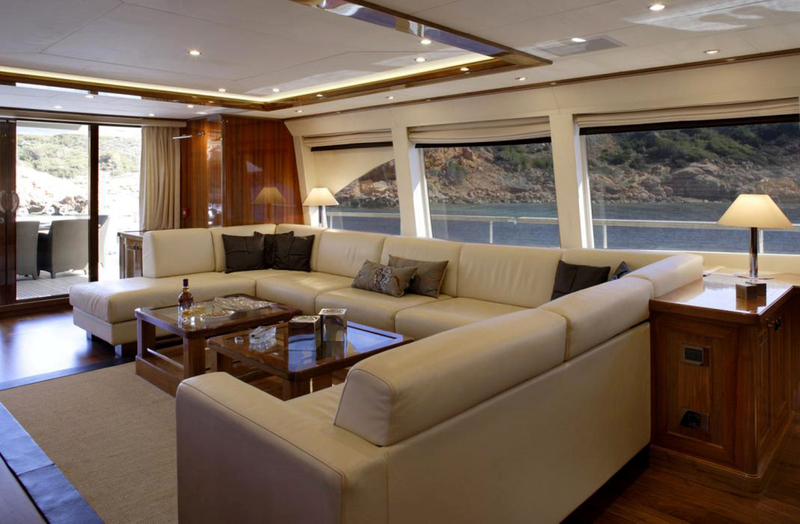 She has been designed down to the finest detail to offer her guests ultimate comfort and safety. 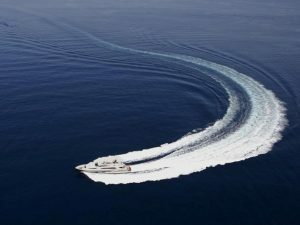 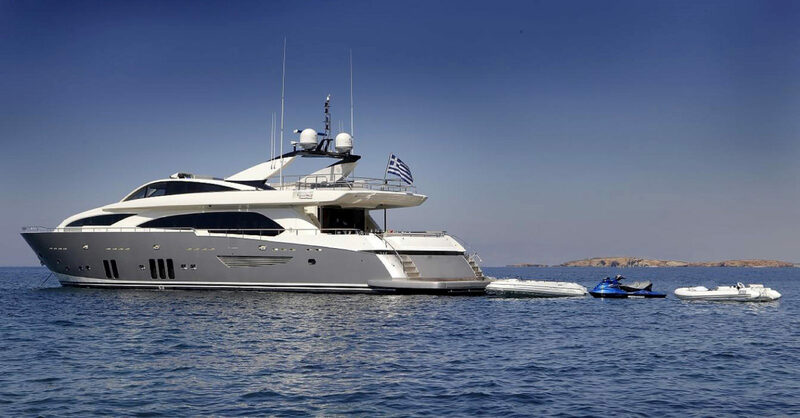 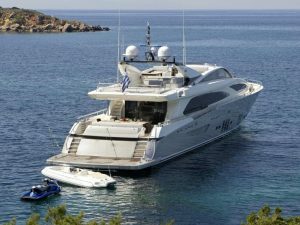 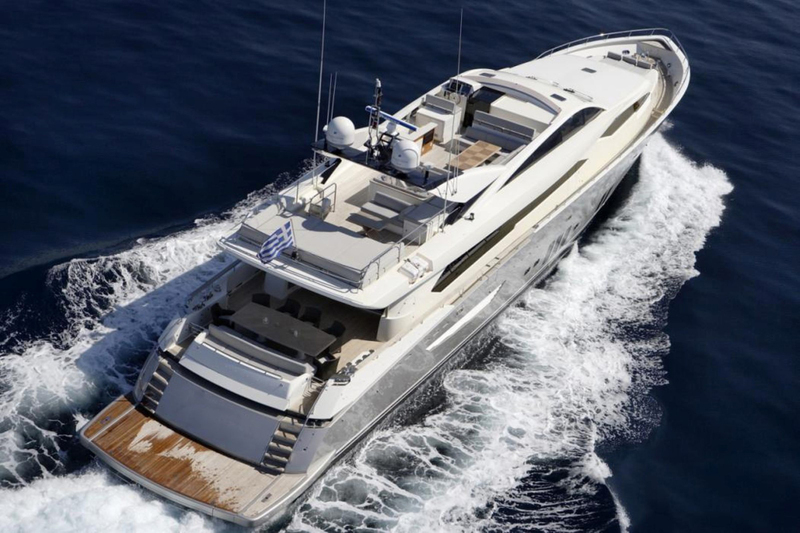 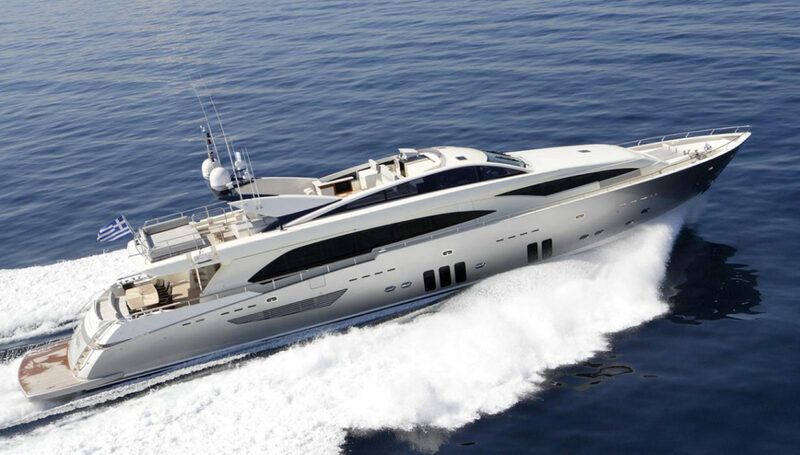 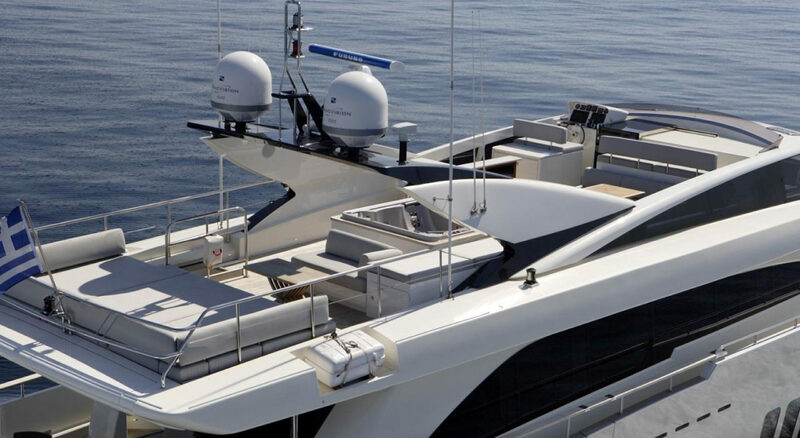 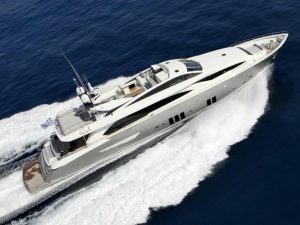 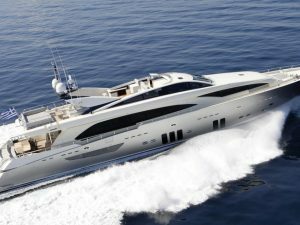 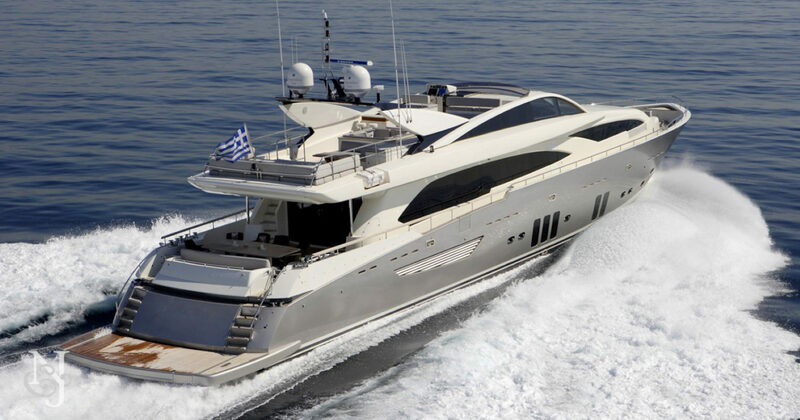 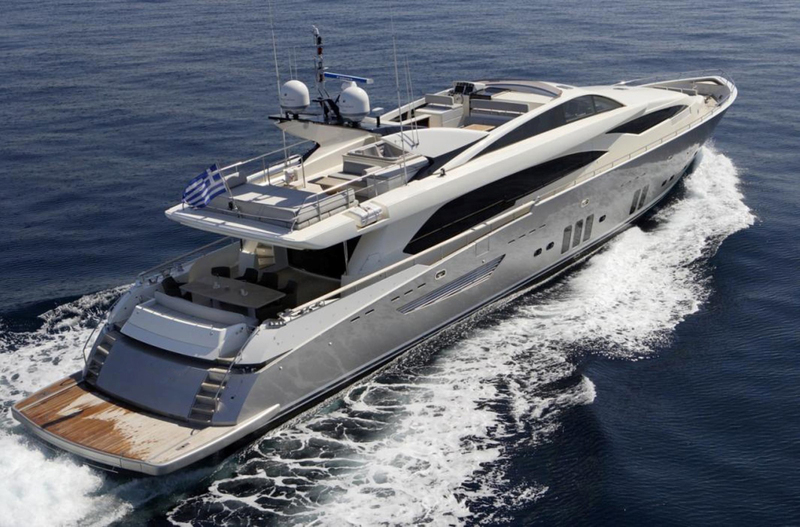 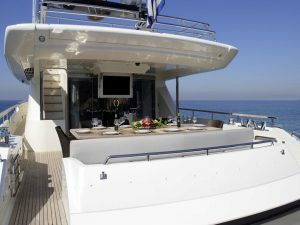 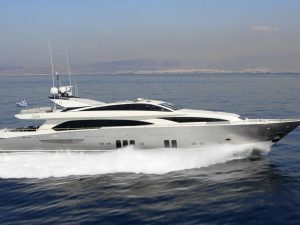 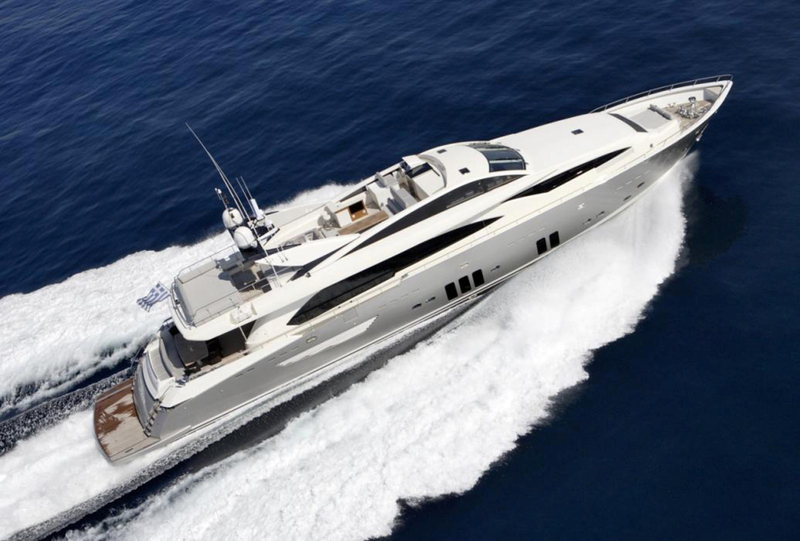 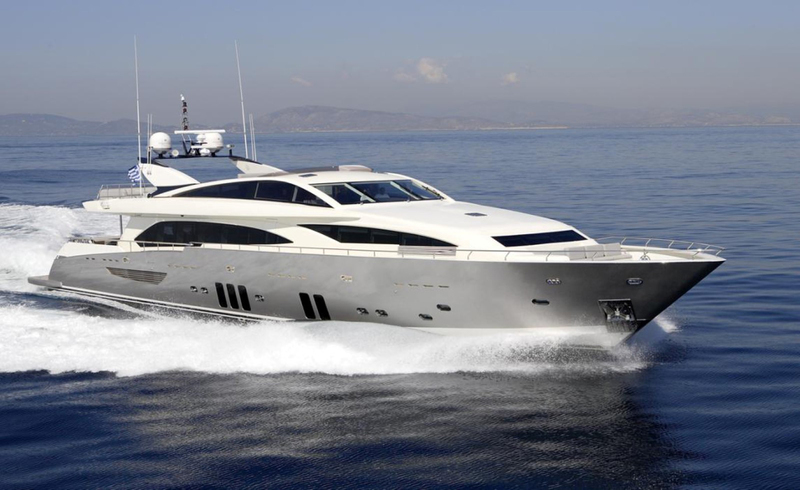 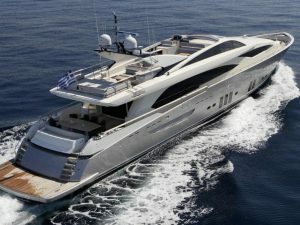 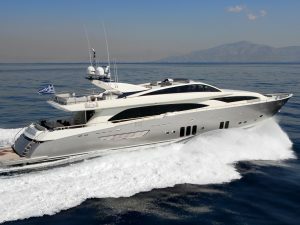 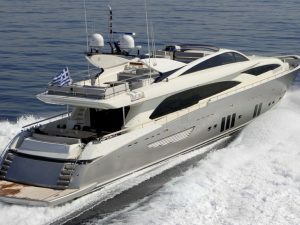 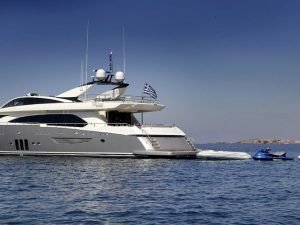 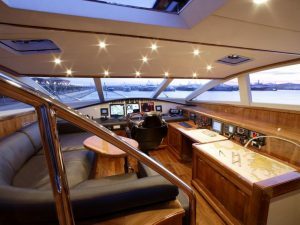 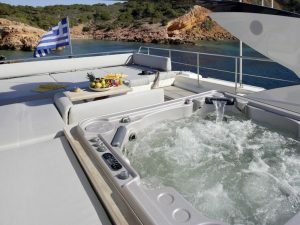 She was delivered in 2009. the luxury vessel features high-power propulsion and engines, high-tech entertainment systems, and a rich selection of water toys. 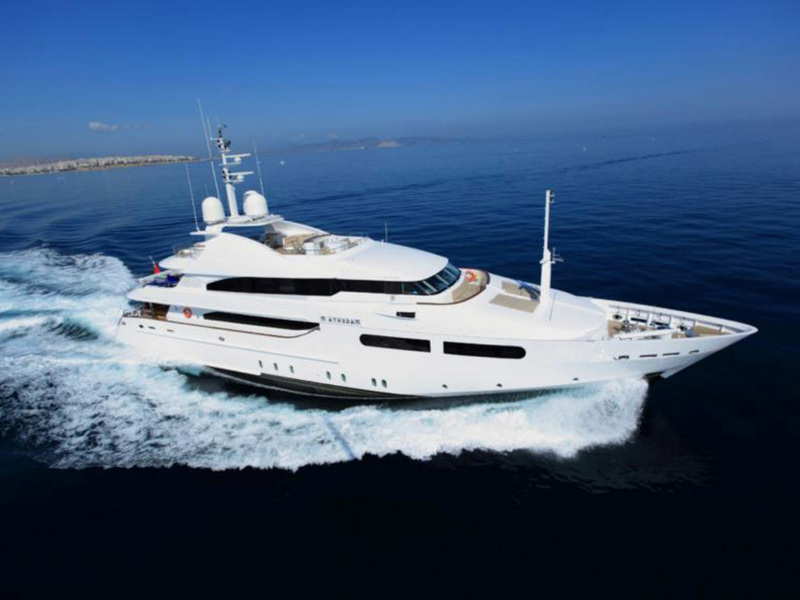 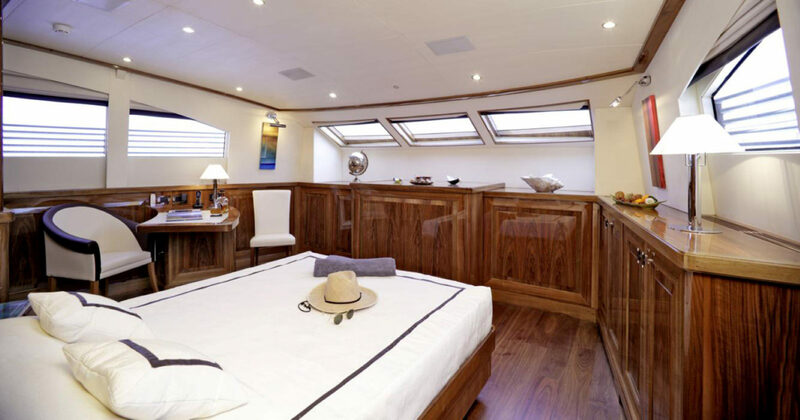 She offers accommodation for 12 guests in six spacious staterooms and eight crew. 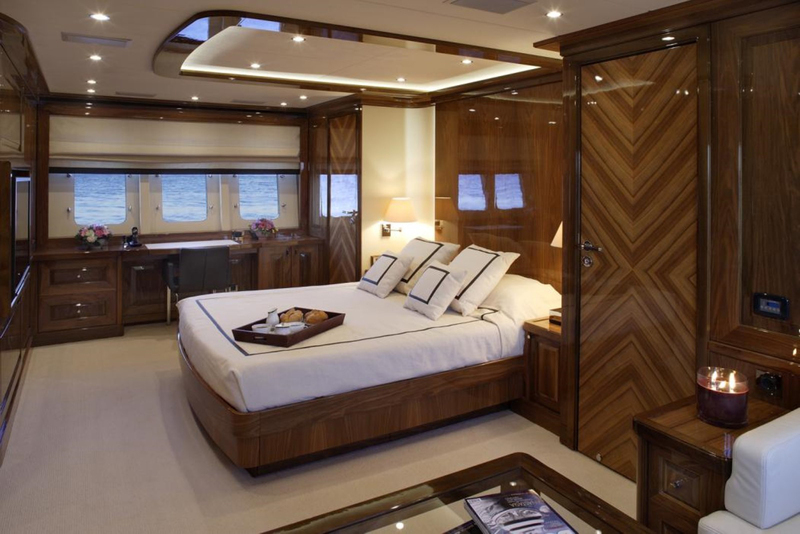 Her classic and elegant interior is highlighted by outstanding woodwork conceived at Couach’s design department. 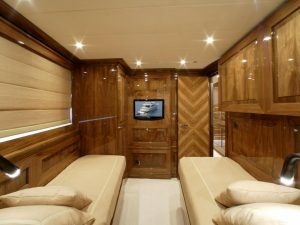 Moreover, the woodwork is made out of a rare selection of walnut wood from the Jura Mountains combined with cream leathers and alcantara ceilings. 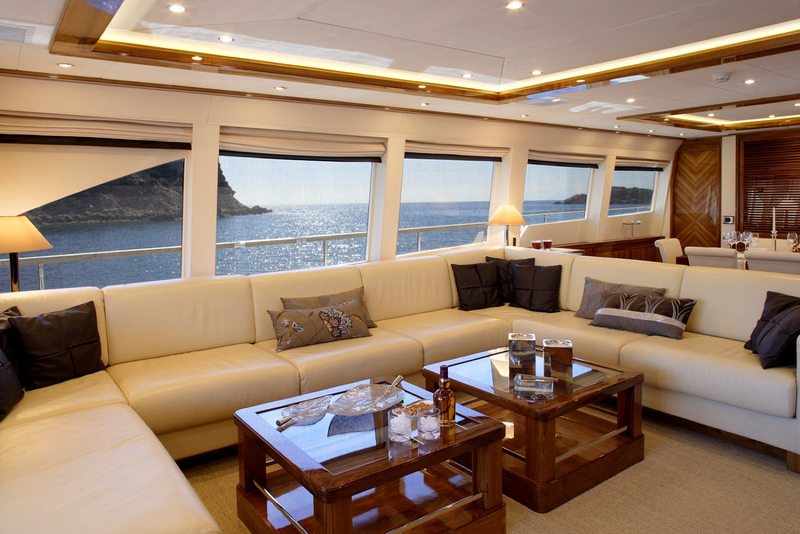 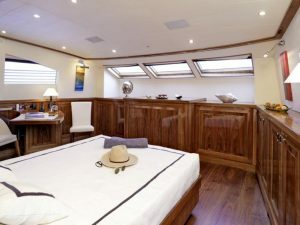 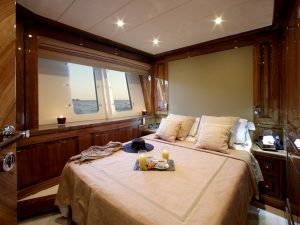 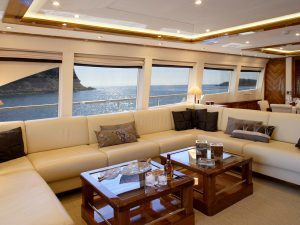 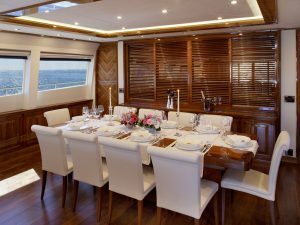 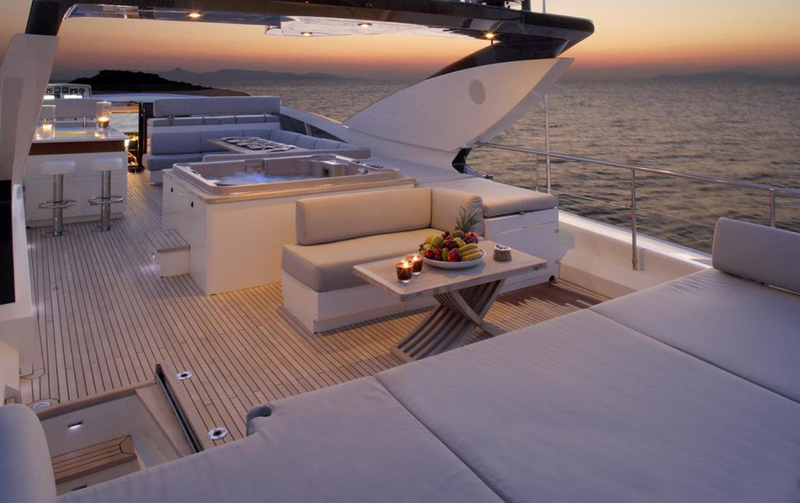 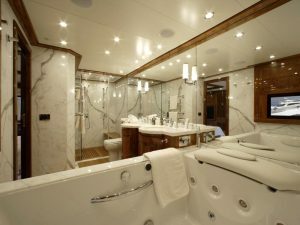 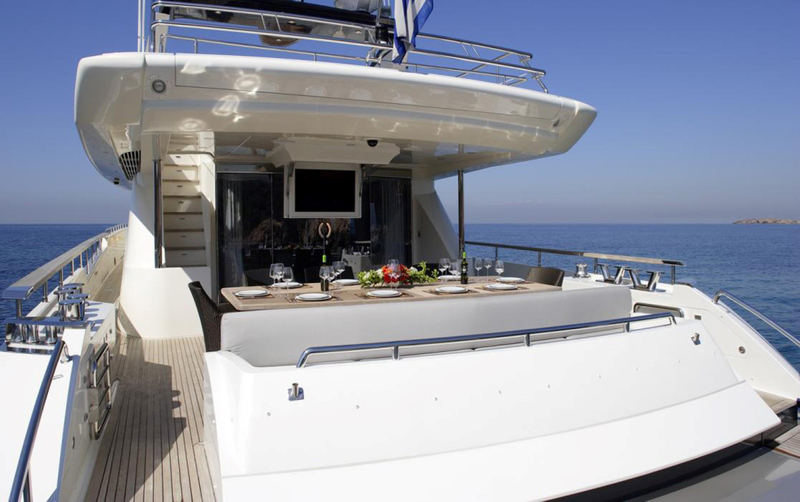 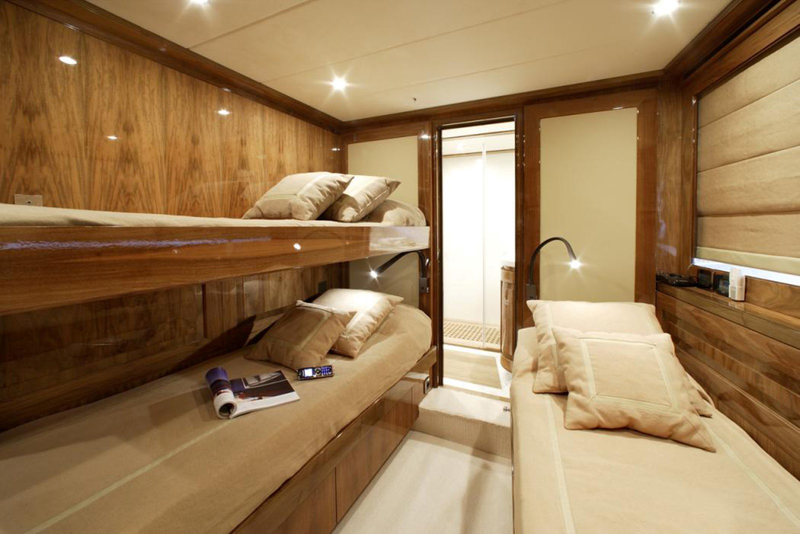 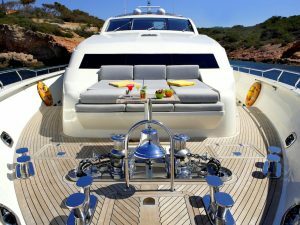 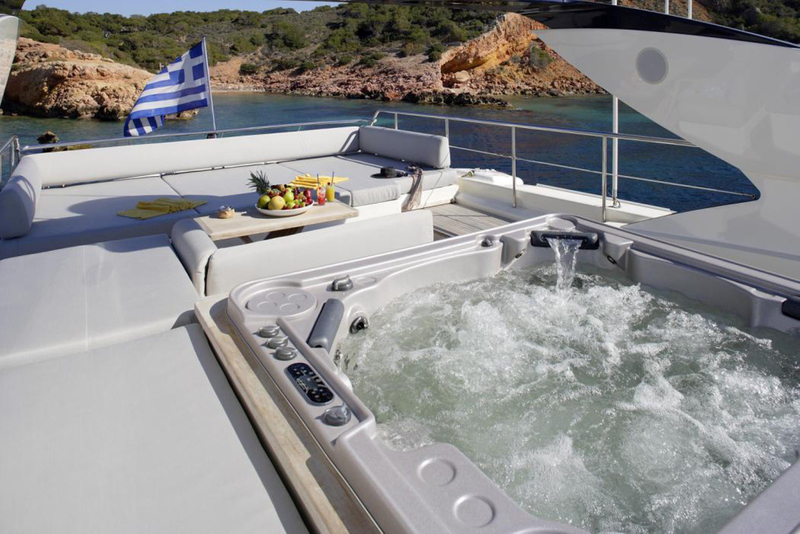 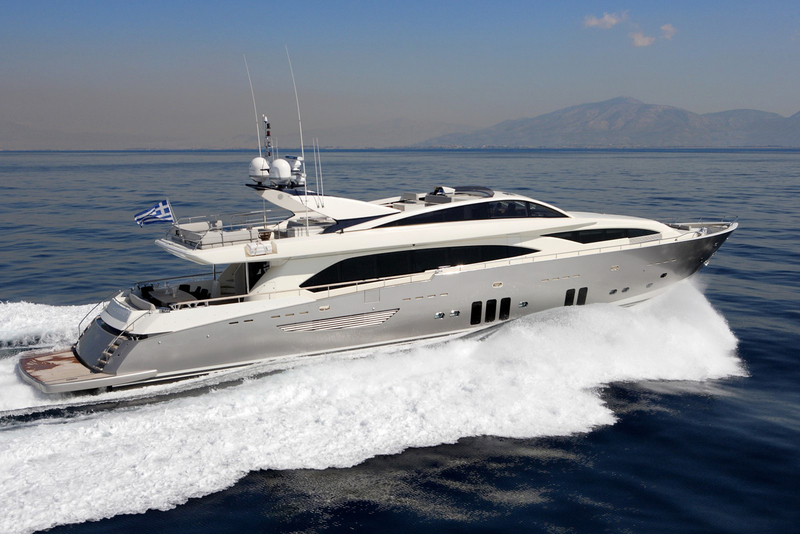 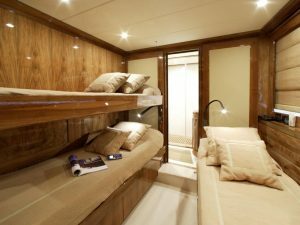 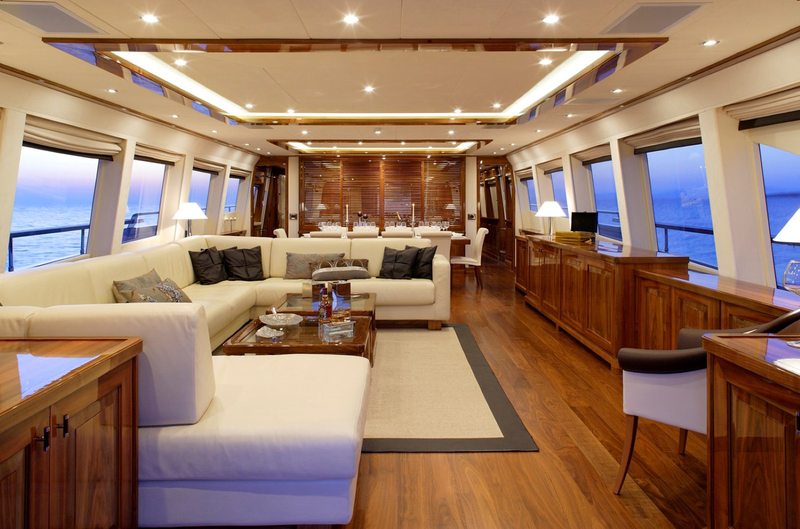 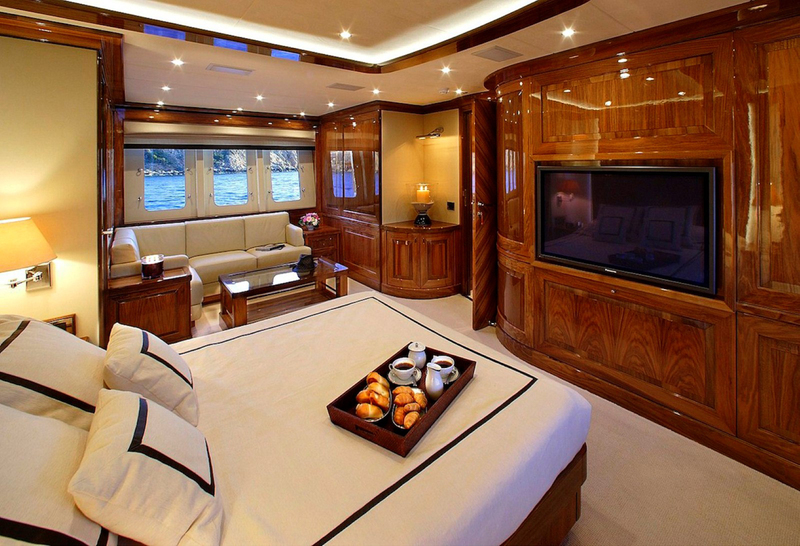 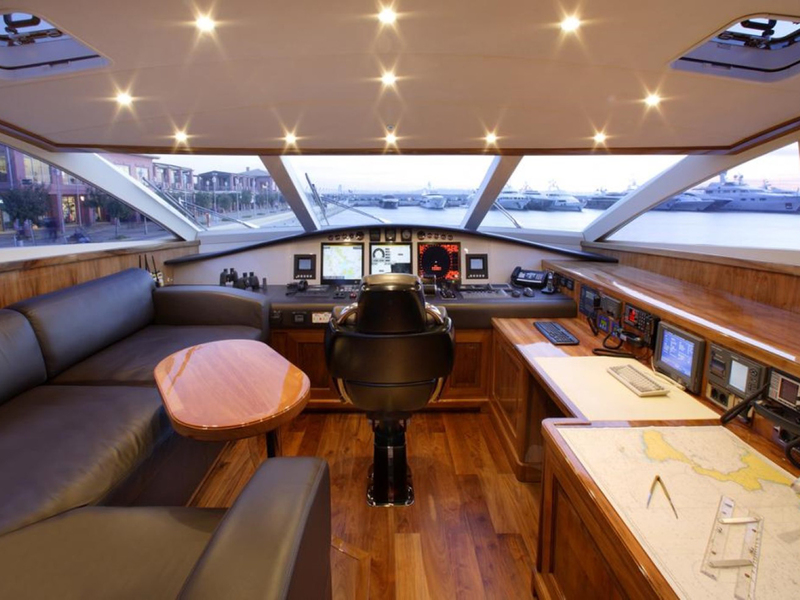 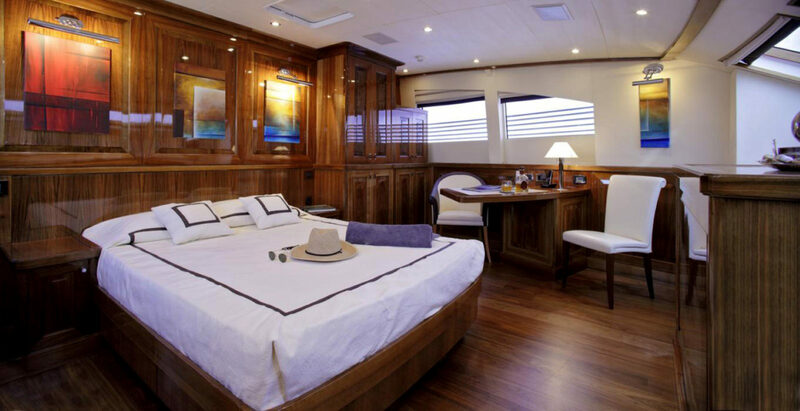 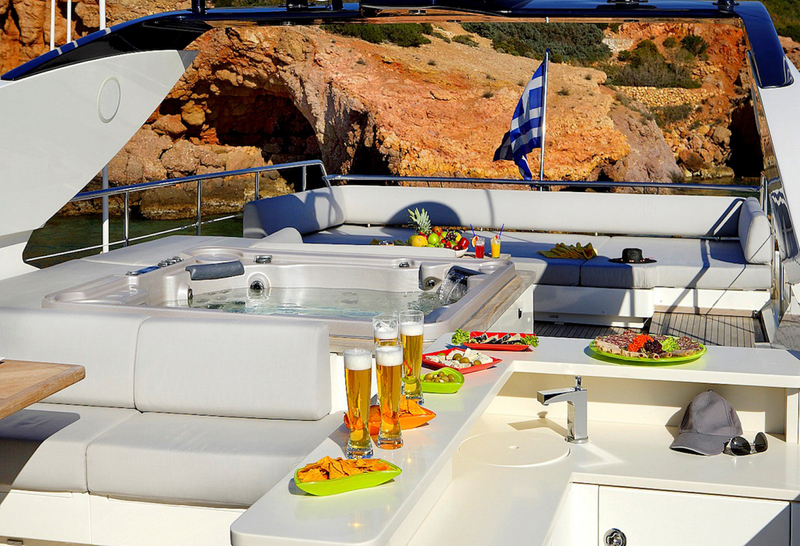 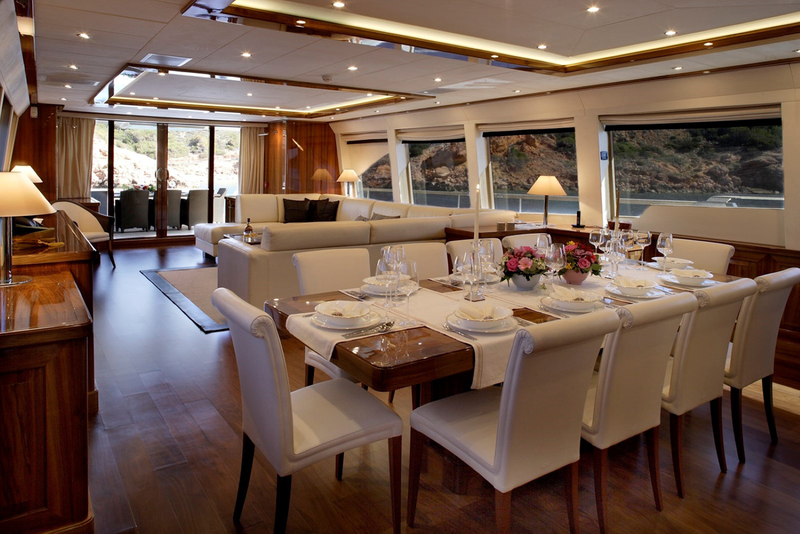 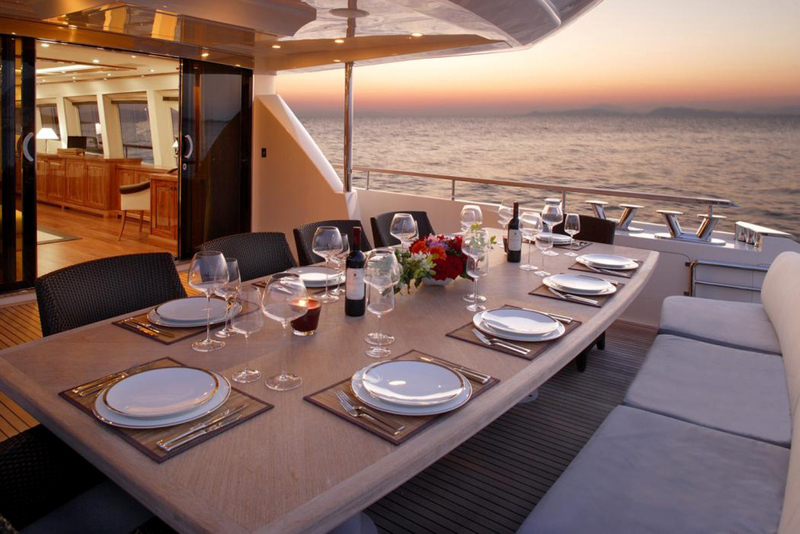 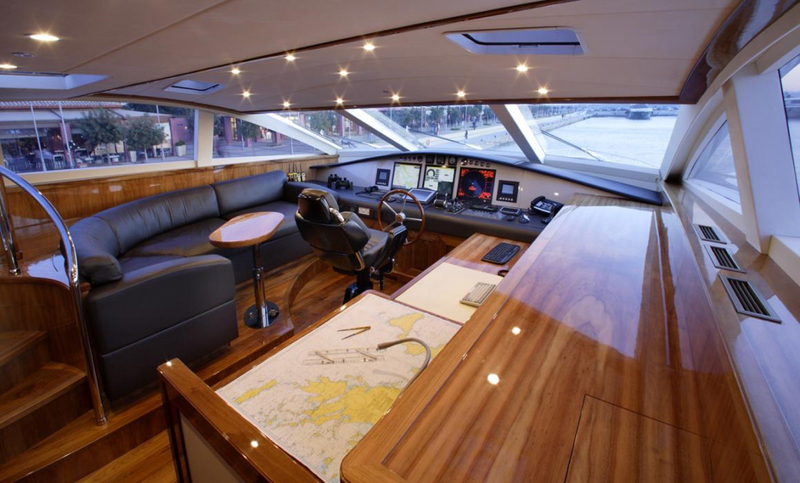 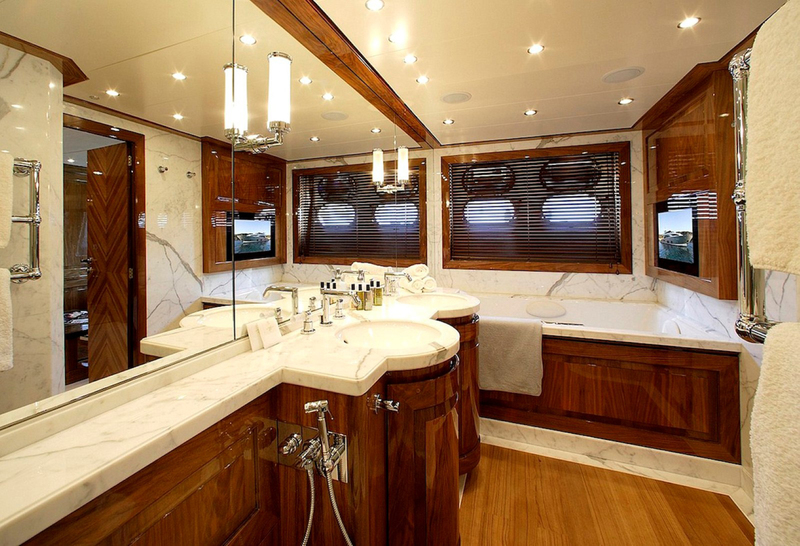 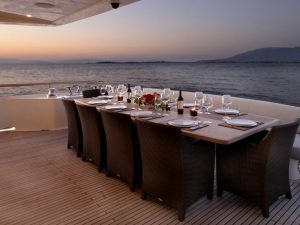 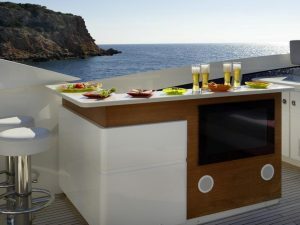 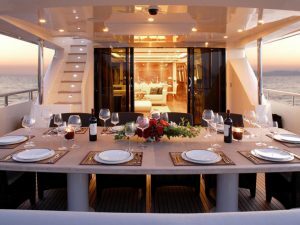 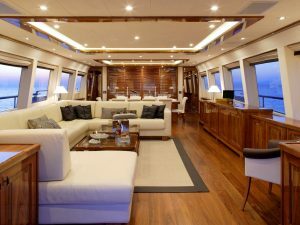 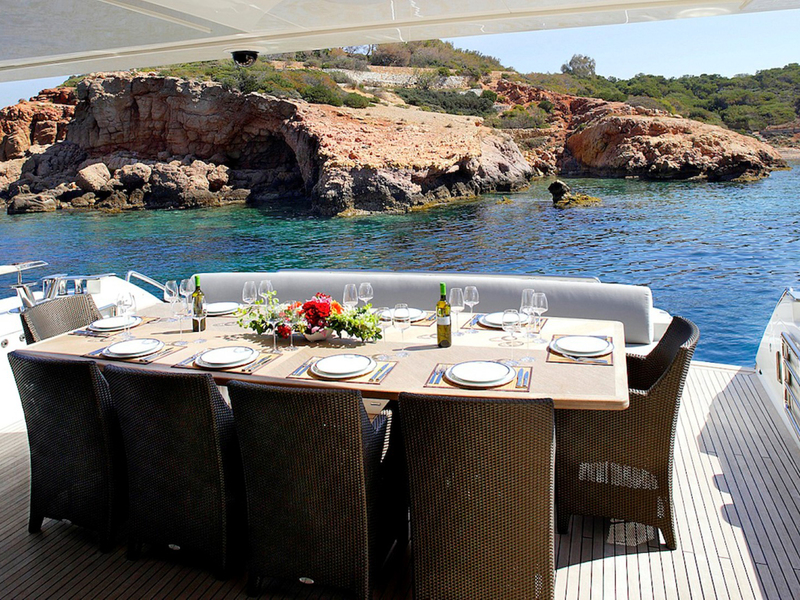 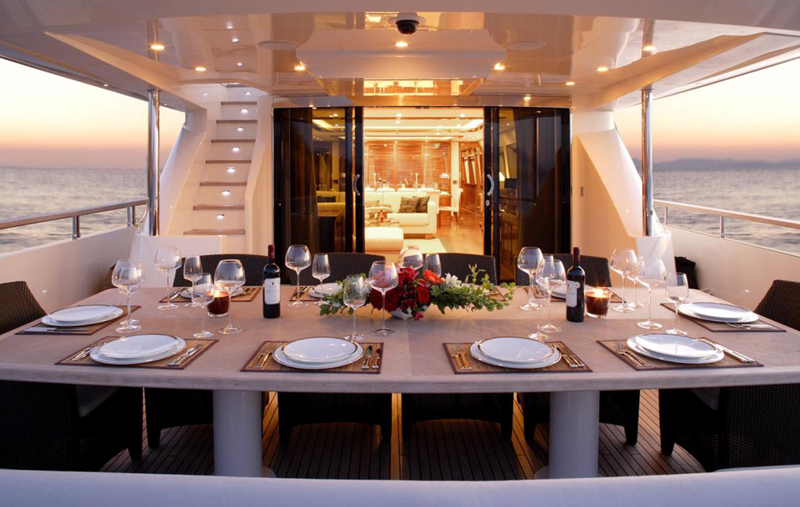 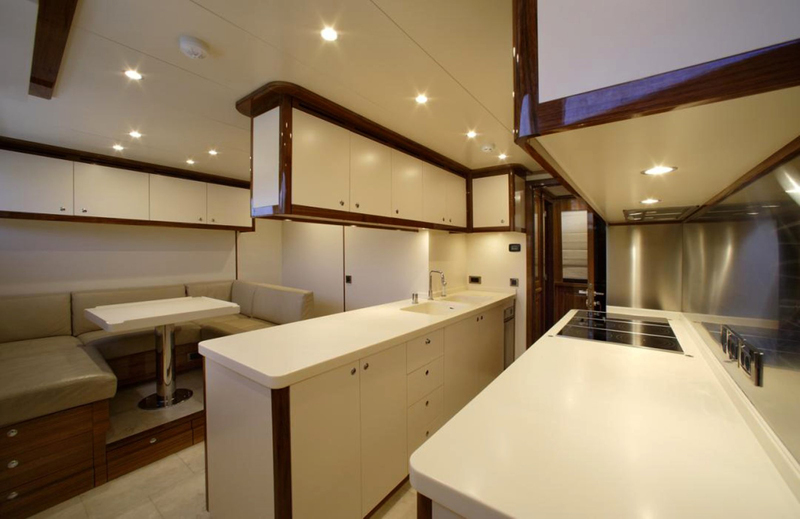 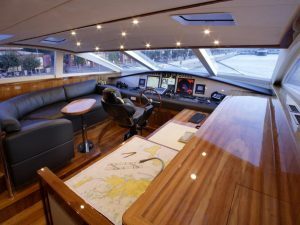 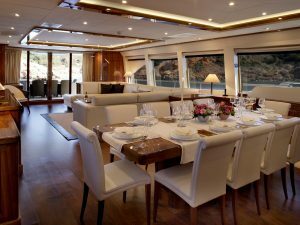 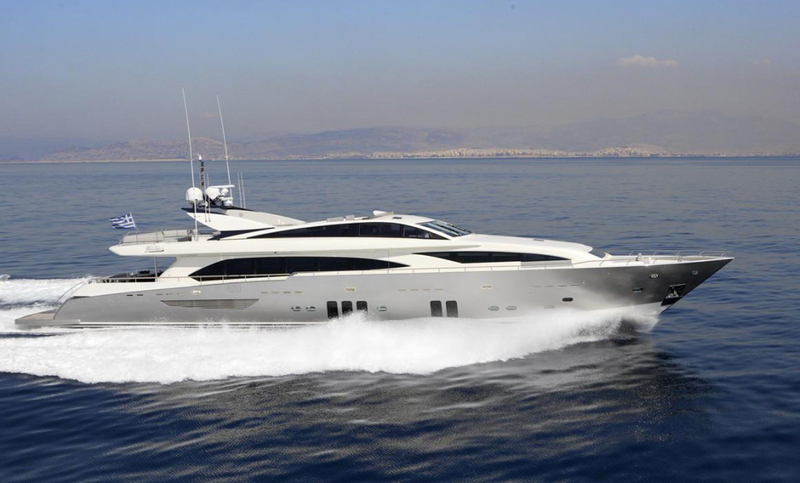 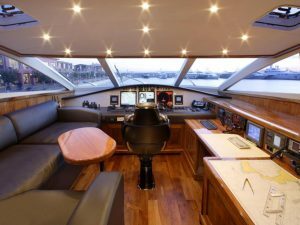 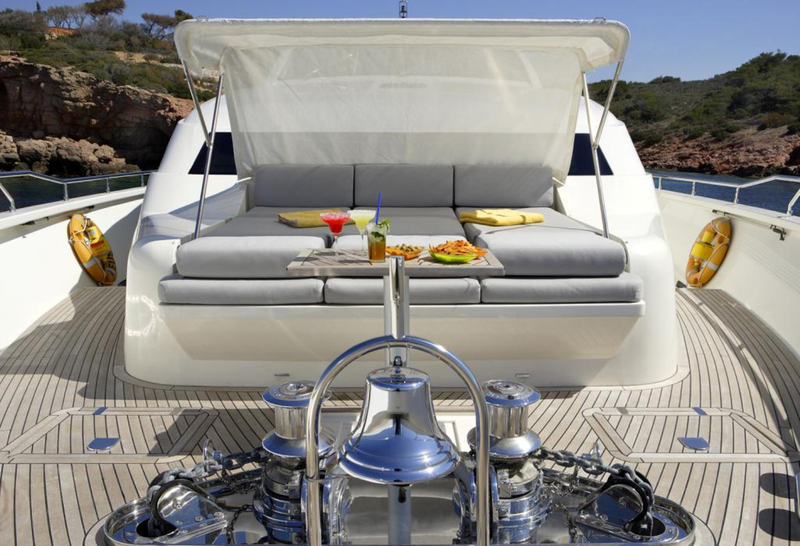 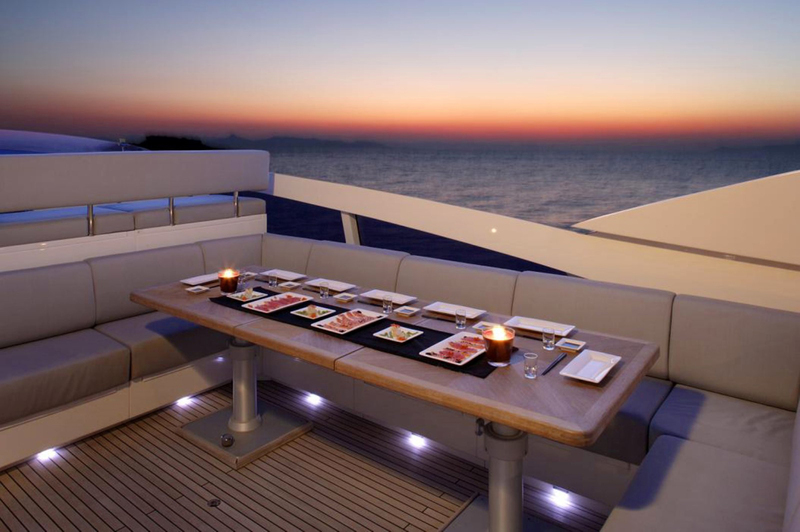 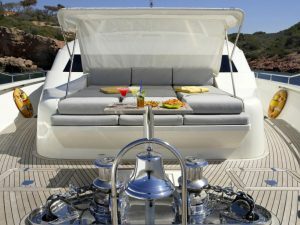 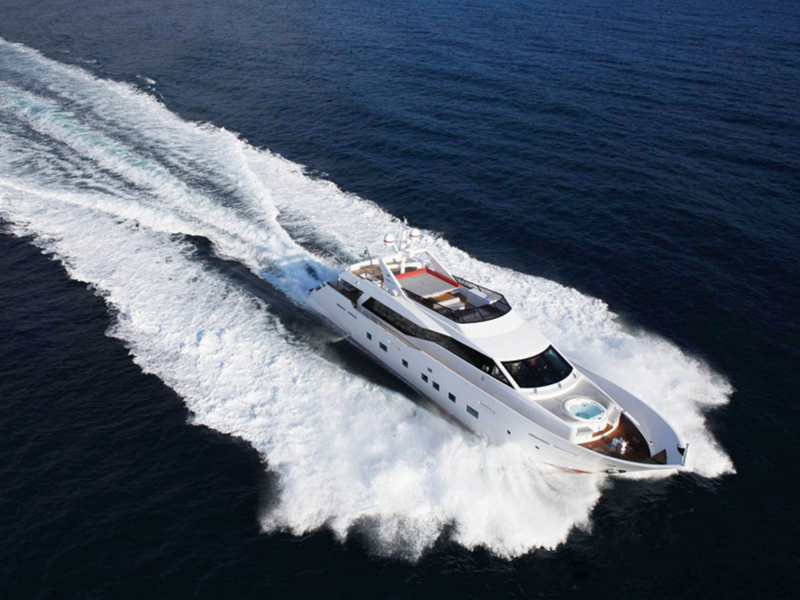 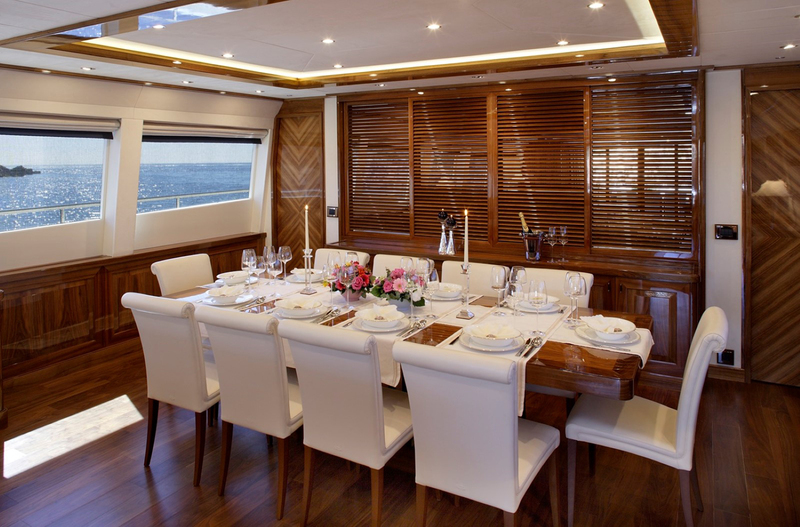 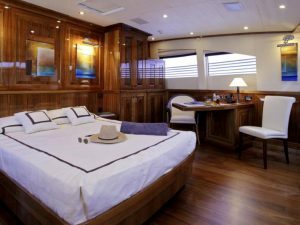 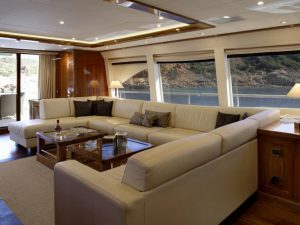 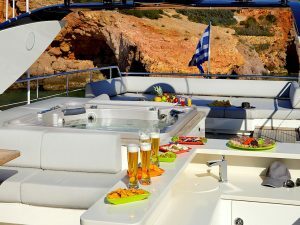 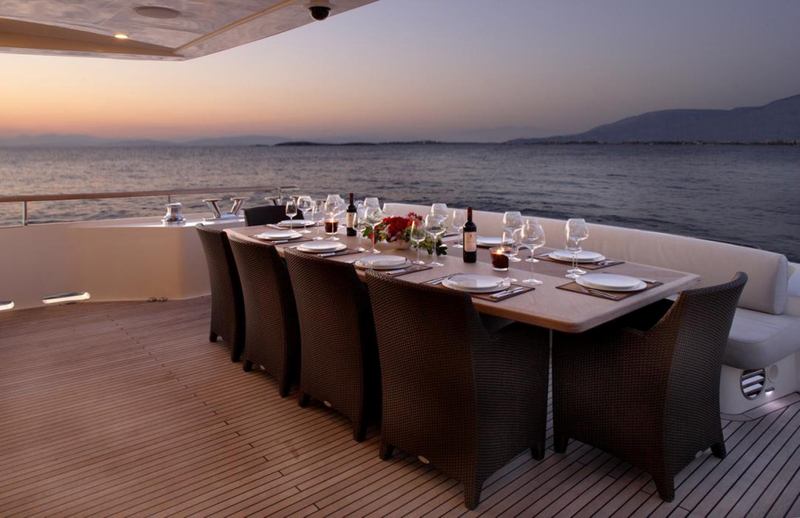 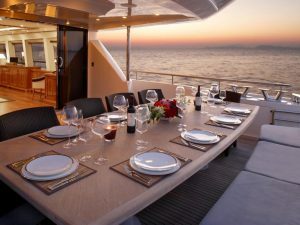 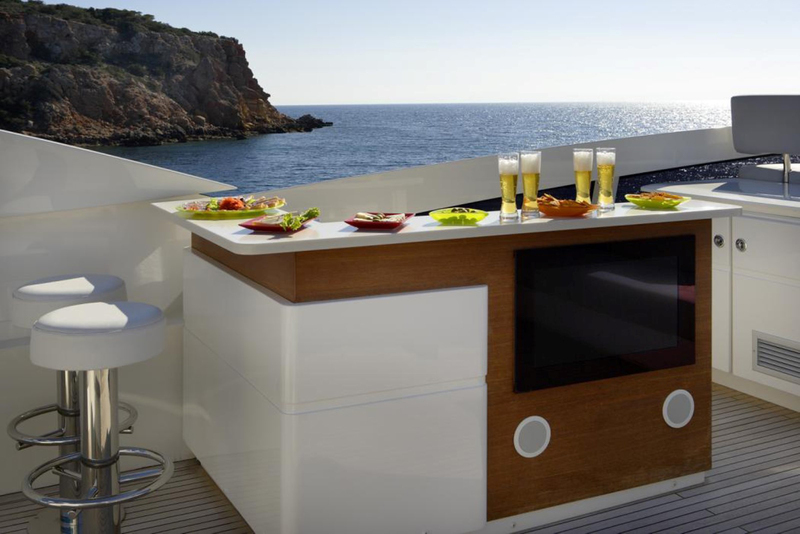 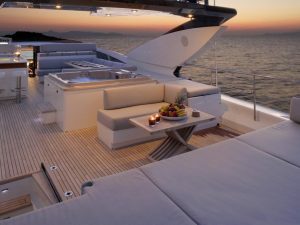 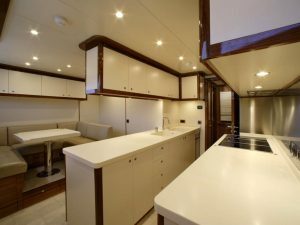 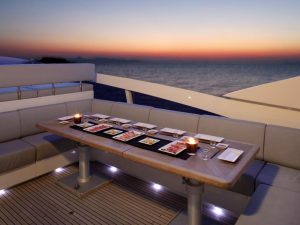 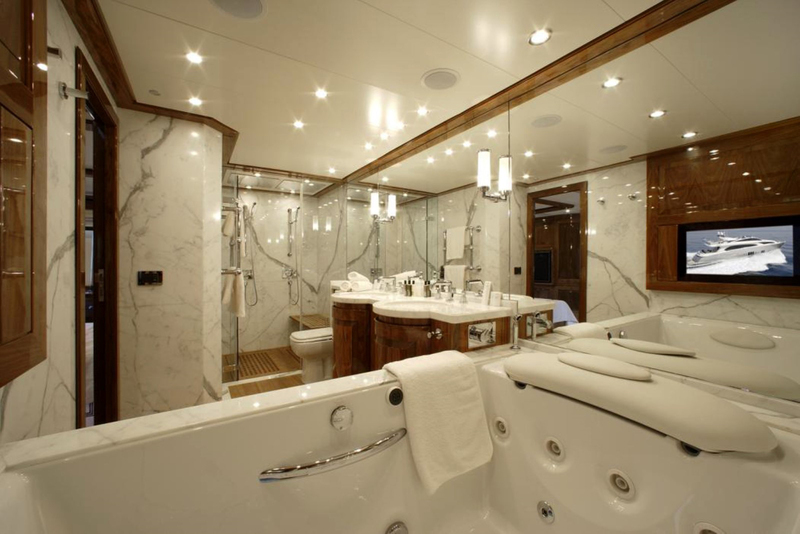 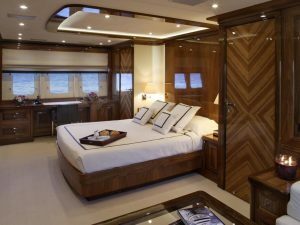 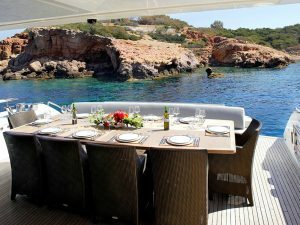 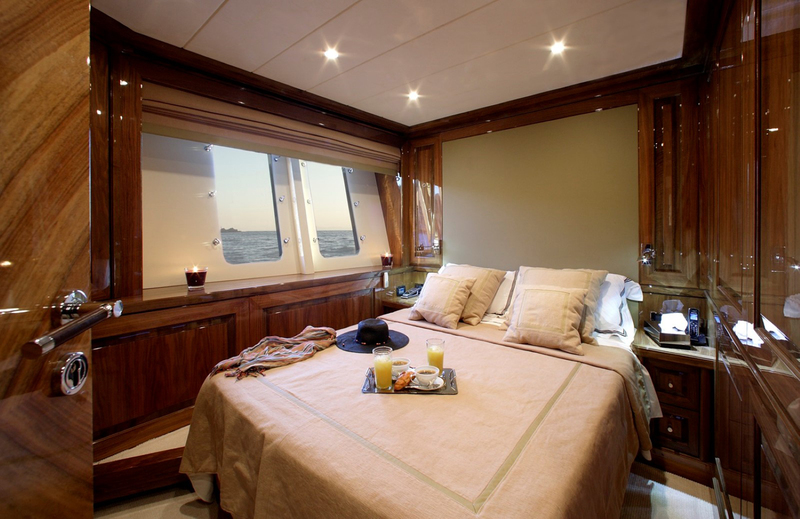 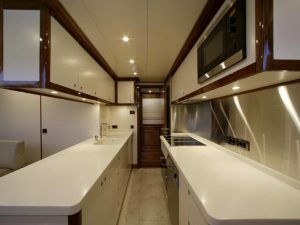 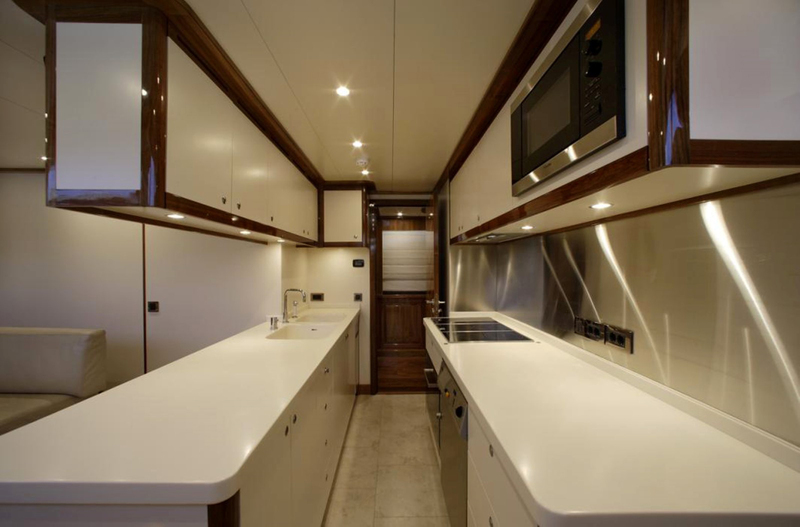 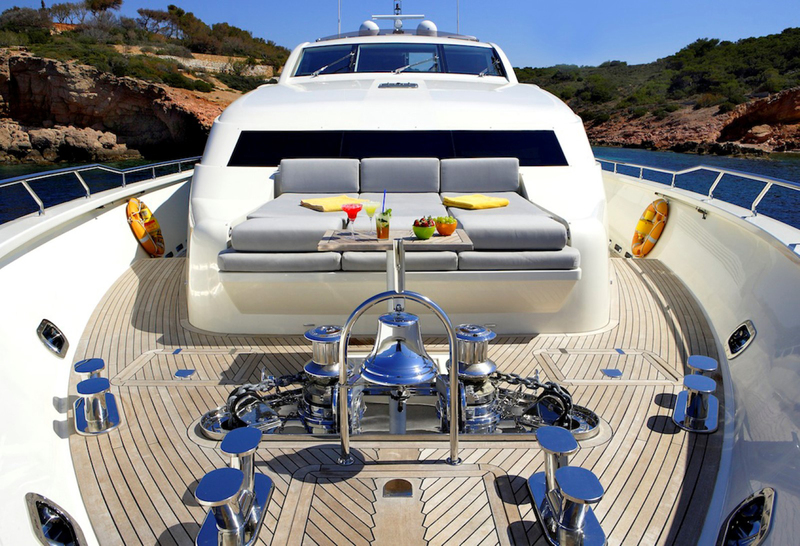 The saloon provides a stylish relaxation area and features dining facilities at the end. 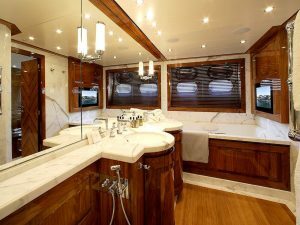 Not only she is elegant, but she is also seaworthy. 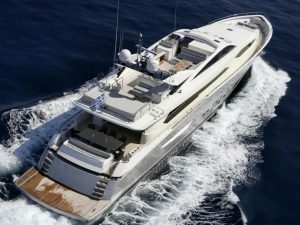 She is totally built out of Kevlar. 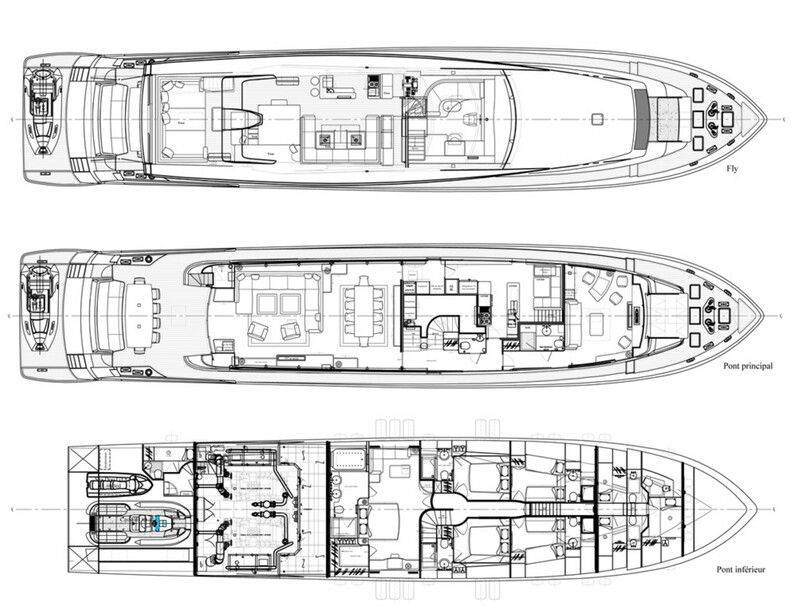 Kevlar is 4 times stronger than steel but lighter, thus her hull is rigid and solid but light as well. 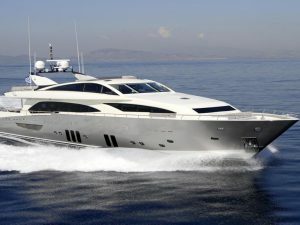 She is capable of a max speed of 30 knots. 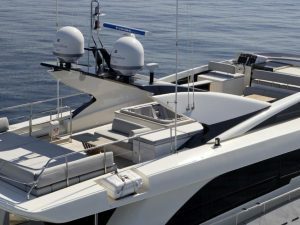 Radar 1 type & Power Furuno Radar 72 n.m.
Radar 2 type & Power Furuno Radar ARPA 96 n.m.